CAPE TOWN – PREPARATIONS for the Internet Week (iWeek) have received a boost after the South African Network Operator’s Group (SAFNOG) was confirmed as key partner for the event set for August. SAFNOG is a headline partner for iWeek 2019. The SAFNOG-5 conference will take place on August 27 and 28 while iWeek 2019’s dedicated Internet Service Providers’ Association (ISPA) day has been set down for August 26. This year’s installment of South Africa’s longest-running annual Internet industry event returns to Johannesburg. Cape Town hosted iWeek 2018. Some topics for discussion on the dedicated ISPA day of iWeek 2019 include current regulatory issues, the role of ISPs in the fourth Industrial Revolution, an internet sector Computer Security Incident Response Team (CSIRT) and building the next generation of South Africa’s internet engineers. provider (WISP) representatives, technicians, engineers, managers and business owners. In addition, iWeek also attracts a broad selection of internet governance stakeholders, the legal fraternity, hardware vendors, academia, representatives from non-profit organisations working in the internet space and important government representatives. ISPA is a non-profit company and a recognised industry body which has represented the interests of ISPs since 1996. 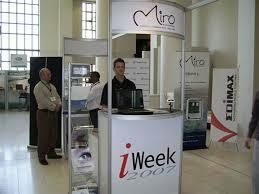 It has co-hosted the annual iWeek industry conference since 2001.